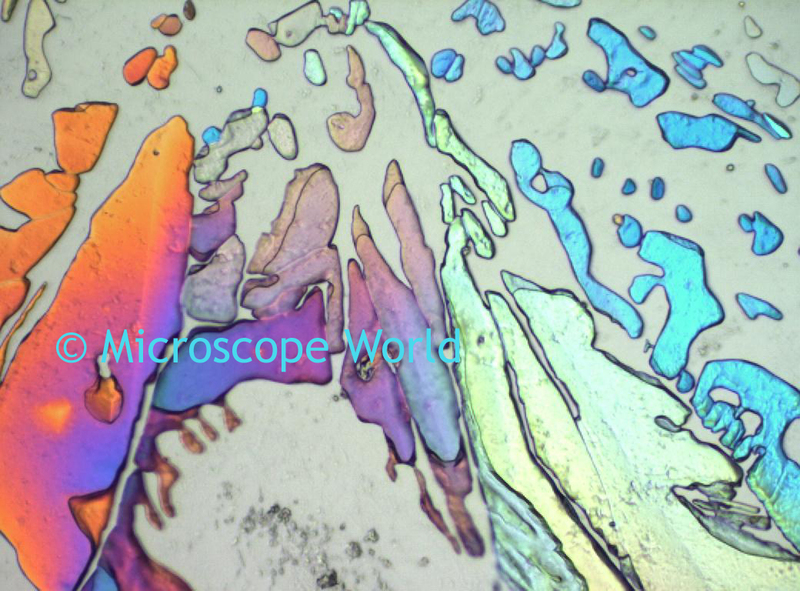 In the past we have looked at sugar crystals under a stereo microscope. Sugar is a class of edible crystalline carbohydrates - made up mostly of sucrose, fructose and lactose. 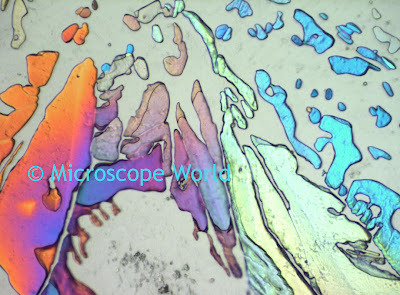 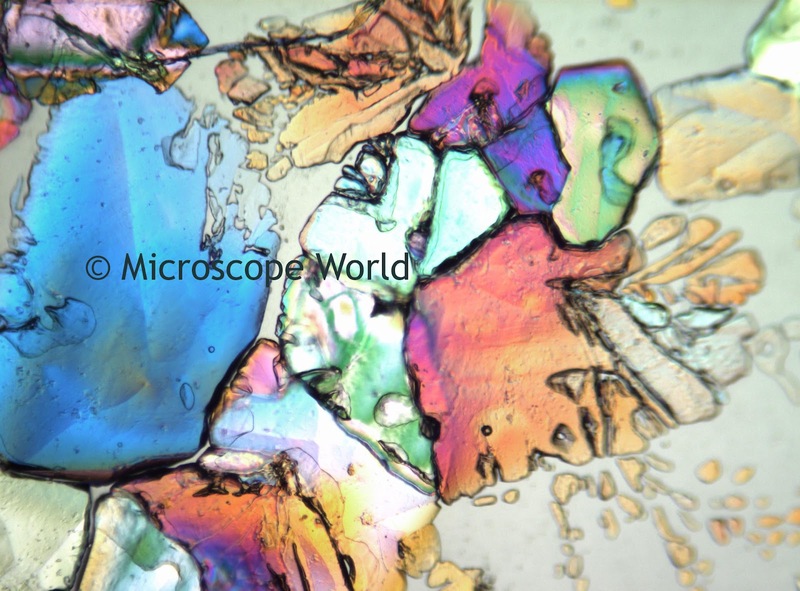 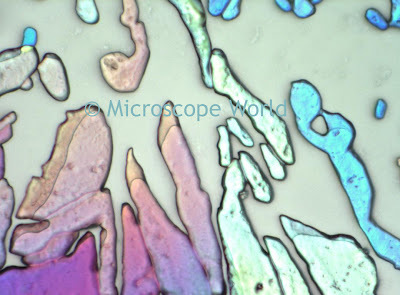 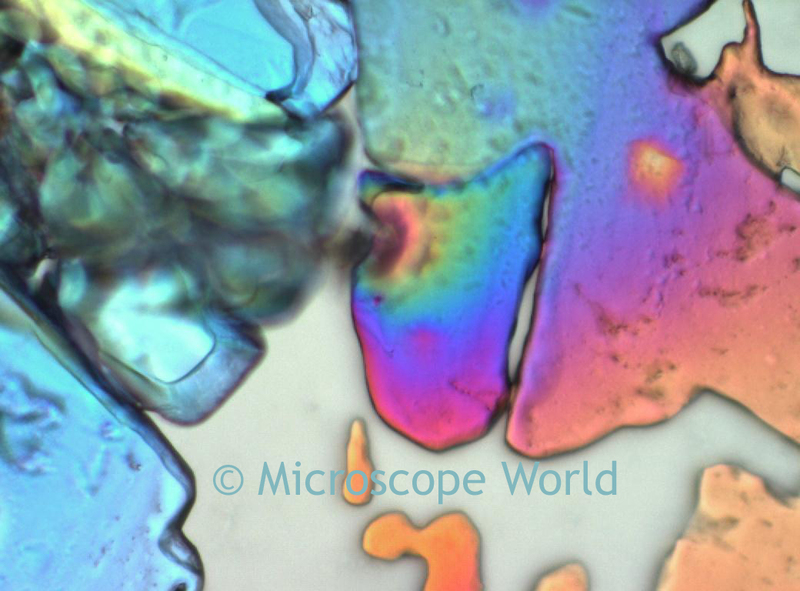 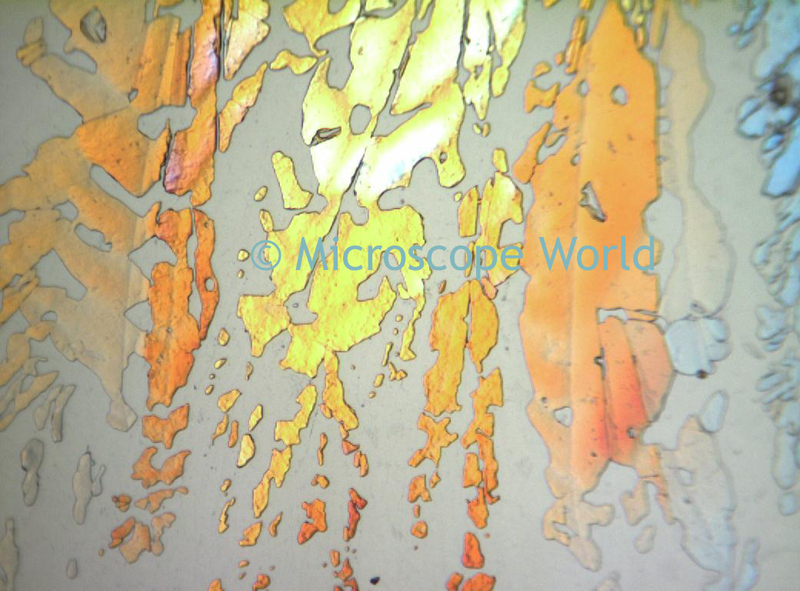 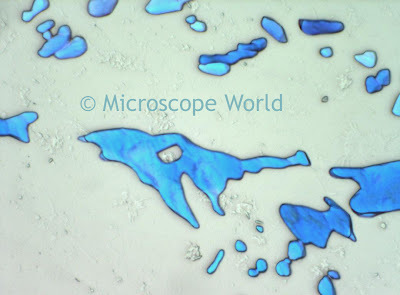 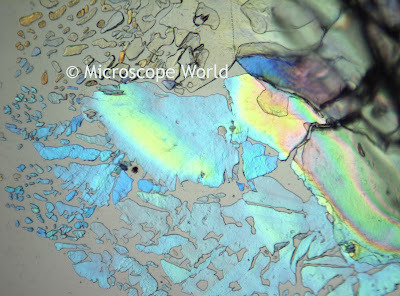 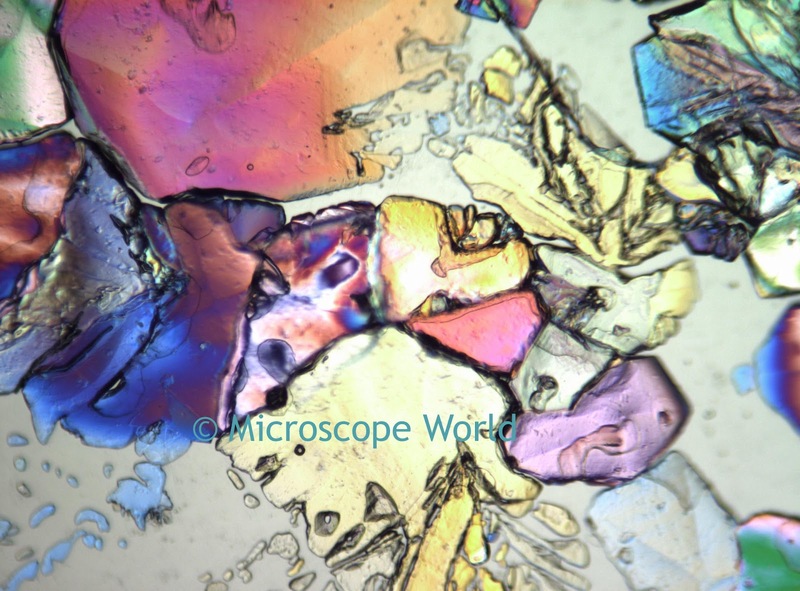 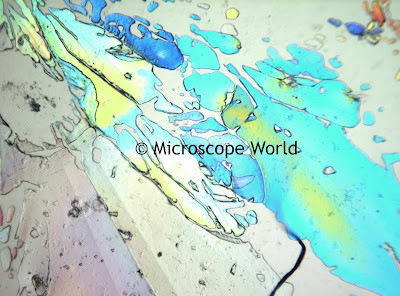 Microscope World placed some sugar crystals under the MT9300 polarizing microscope and using the Jenoptik Speed XT Core5 camera captured the following images. 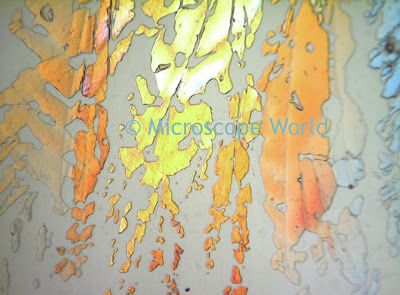 The 1/4 wave plate, polarizer and analyzer allowed the bright colors that you see below to be accentuated under the microscope. Sugar under the polarizing microscope at 100x magnification.